Are you looking for the best pest control in Tucson AZ? With a few maintenance efforts, you can keep a few pests away from your home or office. However, there are a few pest infestations that require professionals. Here are useful tips to consider when looking for the best Tucson pest control professionals. Look for a pest control service that has been in business for at least a few years. If they have been successful to date and have strong ties in the community, it’s a sign that they are actually doing something right. Start by asking your neighbors, friends, relatives and other people close to you for recommendations to a good pest control service. Word of mouth is the best advertisement for the service industry and getting a good recommendation from people you trust is valuable. If you can’t find a recommendation, look for an exterminator with the best reviews on their website or social media sites. Additionally, you can ask for a list of references to their previous clients and contact them to find out whether or not they would recommend the pest control service to a new client. Although you shouldn’t choose a pest control service based on the cost alone, it is also a metric to consider. Start by asking for quotes from a few companies in the area and find out how much they charge for their services. 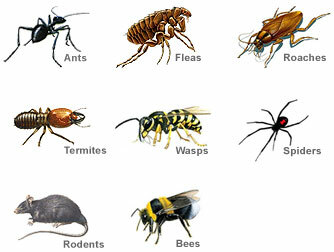 Ask for written quotes of all the services you might need and compare different pest control services. Choose the most affordable one that can guarantee the best services. Whenever you discover an infestation in your home, you need to handle it immediately to prevent further damage to your possessions. That’s why you need to hire a pest control service that’s available to provide a fast and high quality service. Therefore, you need to check the company’s working hours or when they are ready to take you on as a client to prevent any delays with the services offered. 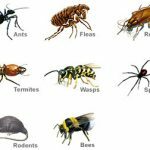 Whenever you are looking to hire a pest control company, you need to check whether they are experts in the type of rodent or pest that has infested your home. Certainly, the pests need to be eradicated carefully and humanely to prevent them from coming back to your home or business. Find out the type of expertise the pest control service has and how they plan on removing any pests on your property.